Riceland's Delta Star brand is a premium rice. If you love aroso rice you will love the Delta Star Parboiled Rice. Ultimate's Ofada Rice for years has been the preference of health-conscious Nigerians. 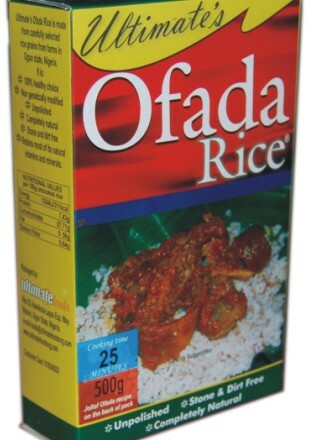 Ofada rice is short, robust and brown rice mostly planted in Ogun State, western Nigeria. It is identified with brown stripes because it is unpolished. When cooked, it emits a unique aroma that is often the attraction.